I remember as a growing child that my mother used to prepare mango leaves, guava leaves and lemon grass. Sometimes she made the preparation with a combination of paw-paw leaves, and even the one we call Akwukwo akom, that is literally translated – malaria (herbal) leaves. This is the Neem tree leaves or Azadirachta indica. Sometimes you would refer to it as Dongo yaro that is if you are familiar with what the northerners call it in Nigeria. These combinations were usually cooked and prepared as an infusion for all manner of fevers (malaria, yellow, dengue, etc.) and other ailments. Also, sometimes this concoction which many a times included mango leaves, would be delivered in the form of steam bath, for the purpose of inhalation and bodily assimilation, where the patient will be covered with a blanket while he inhales straight from the bucket of this steaming portion as it were. Or better still, you would take your bath with it. I am told that this form of practice is born out of what is called native intelligence. That is to say it has a lot to do with the human instinct and intuitive thinking, which invariably has never gone wrong with the (native) people. And now, I have decided to extract just one ingredient from that lot – Mango Leaves to deal with. Thus it will surprise you to discover that mango leaves of the popular and common mango tree have built into them a super load of curative powers and ingredients including extracts that have been found to influence the pancreas positively, and also having the ability to bring on a preventive power in retinal degeneration which is also one of the damages diabetes can wreak on the system of the sufferer. The mango leave is actually an anti-diabetic food. And so an infusion of the mango leaves can be prepared by soaking them fresh in water overnight and then squeezing them in water in the morning. Another way of preparing your infusion is by washing out a bunch of mango leaves – especially the mid tender ones, say 12 – 16 pieces; boil them in a cupful of water and leave to infuse over night. Filter the infusion in the morning and drink first thing in the morning on an empty stomach. This infusion can also be taken early every morning for the control of early diabetes. On the other hand, you could dry out the leaves under the shade, grind them into a powder form, preserve it and take whenever necessary. You should take half a teaspoonful of this powder mixed with water, milk, or yoghourt two times a day. Bottom line is that mango leaves can help you maintain your normal blood sugar levels if you are diabetic, and eventually set you free from this scourge of these modern times. 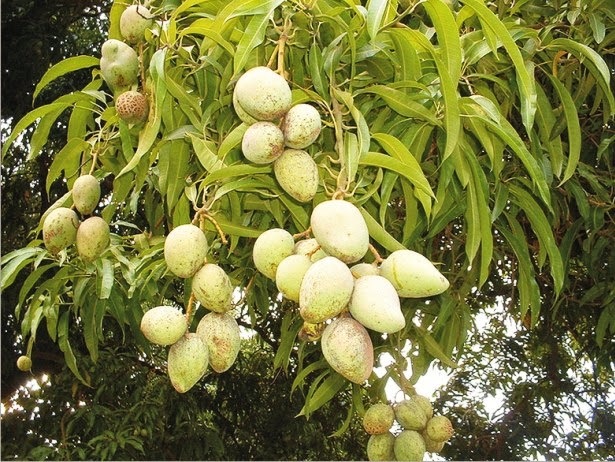 And, if you care to know further, on-going research has also proven that contrary to some opinions that mango might not be too good for the diabetic patient simply because of its sweet taste, the fruit is rather a nutritious and healthy anti-diabetic medicinal food. Mango is thus useful in both the management and prevention of diabetes.